Just in time for the holidays we have a new book! Stitches Volume 5. It’s perfect for gift giving to friends, family and even yourself. Why not? It’s the holidays. We all need a present. Right? 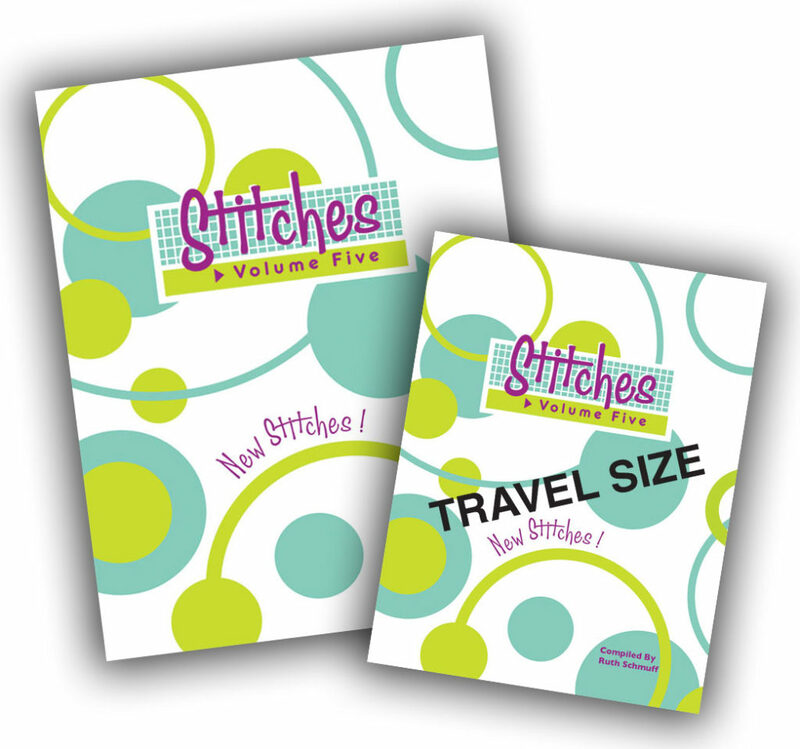 This is the 5th book in my series of stitch books. Can you believe it? So many stitches and variations. Each stitch is illustrated as a full page for easy peasy reading. With each guide I write, new stitches are born and then they multiply. 😉 Yep, that’s how it happens. Most of the diagrams are numbered so that you know exactly how to execute the stitch. All 5 books are available in two sizes. 8.5 x 11 or 5.5 x 8.5. Pick your size. As a special gift to you we are offering all 5 books in both sizes at 10%* off through the end of November 2018. All books ordered will ship mid to late December. This is a pre-order sale. All books will be shipped UPS. A note to all the wonderful shops that have carried my books in the past. I am sorry to say that I will no longer be able to wholesale the books to you. I have turned over every rock looking for a solution that would keep the quality the same and the retail price to our end stitchers reasonable. Unfortunately I have not been able to find an acceptable solution. Books will only be available through Bedecked and Beadazzled. Thank you for your support. *Coupons and other promotions can not be combined with this sale. Will Volume 5 be available as an app? I have all the others! yes, volume 5 will be an IOS app. Ooh, how exciting! Any word on an app version? I have all of the others and use them all the time. Would love to add number 5 to my iPad. Ruth, is this or will this be available in an electronic format? Are your earlier books still available, and how much do they cost?